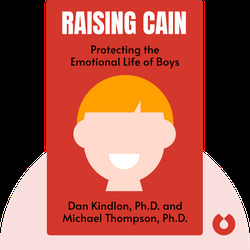 Raising Cain by Dan Kindlon, Ph.D. and Michael Thompson, Ph.D.
By Dan Kindlon, Ph.D. and Michael Thompson, Ph.D.
Raising Cain (1999) explains how boys have to navigate a society rife with misguided ideas about masculinity and filled with cruel classmates who are ready to pounce on any sign of weakness. Discover how these conditions can create emotionally stunted and suicidal young men, and find out what can be done to help remedy their situation before it’s too late. Michael Thompson, PhD, is a family psychologist based in Cambridge, Massachusetts. He is a New York Times best-selling author who has offered his counseling skills to thousands of schools around the world. His other books include Homesick and Happy and The Pressured Child. 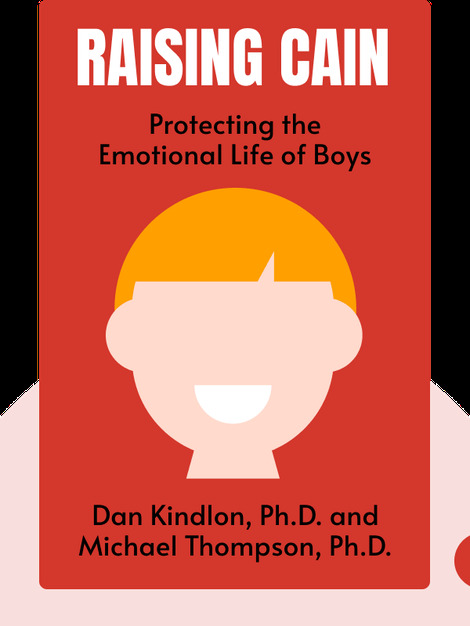 Dan Kindlon, PhD, is a leading child psychologist who has taught at Harvard University for over 15 years. He specializes in treating learning and behavioral disorders in children and young adults. His other books include Tough Times, Strong Children.